Fits many configurations including overlapping, side by side and single. Fits all standard gate sizes. No more accidental openings. Secure with a pin (included) or add a padlock. No more struggling with chains, no more broken wire, and no more accidental openings. 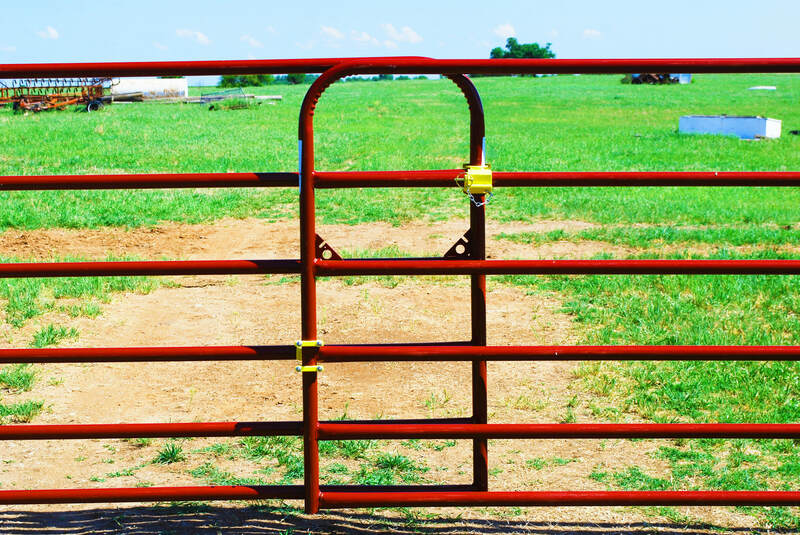 With GateHands, you are in and out of your gates quickly and easily. Great for kids or older adults. 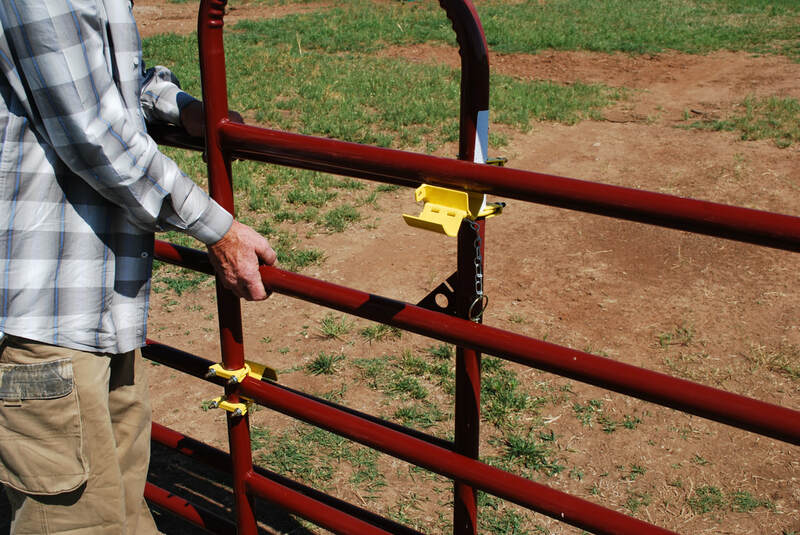 GateHands are made to install on your existing gates. Simple fit the U-bolts over the pipe and tighten down the nuts. 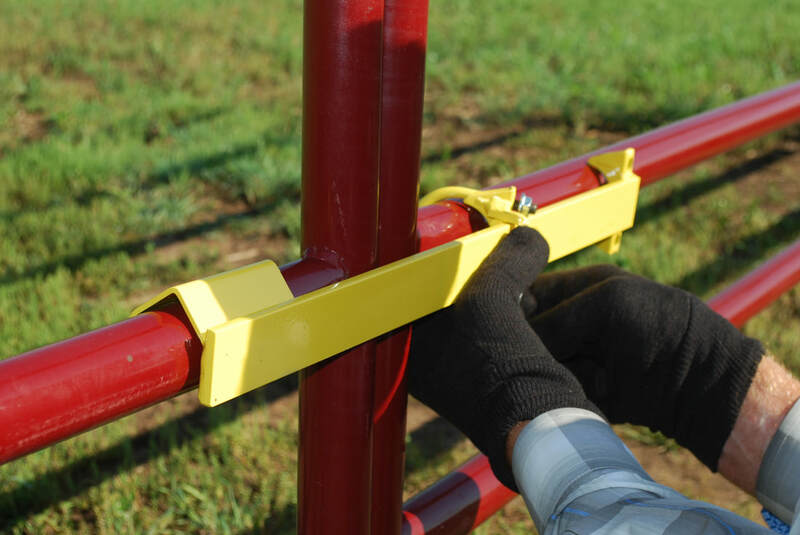 GateHands can be installed in less than 5 minutes. Your gates are unique. 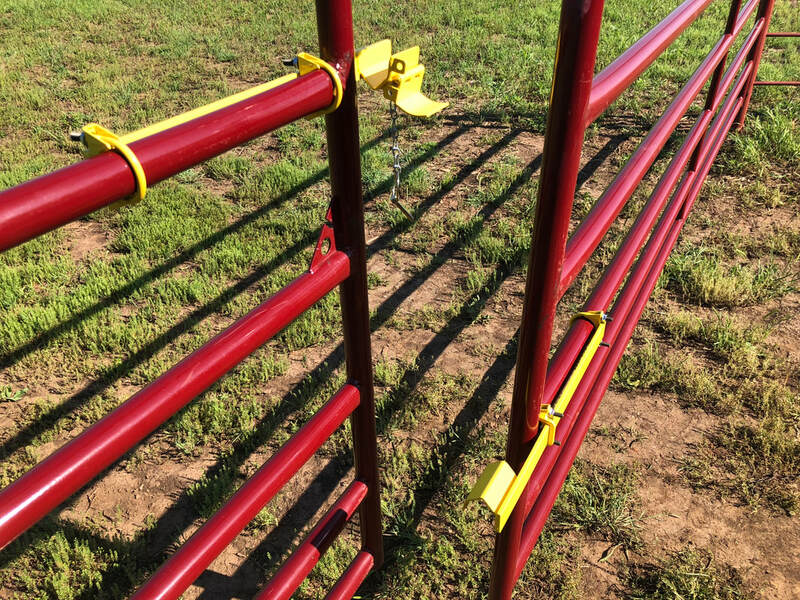 Whether your gates overlap by 6 inches, or 3 feet, or your gates have a 2 inch gap or 8 inch gap, our latches will adjust to fit most standard configurations. *Latches displayed in a non-traditional ​configuration for display purposes. Not sure what size of gates you have? 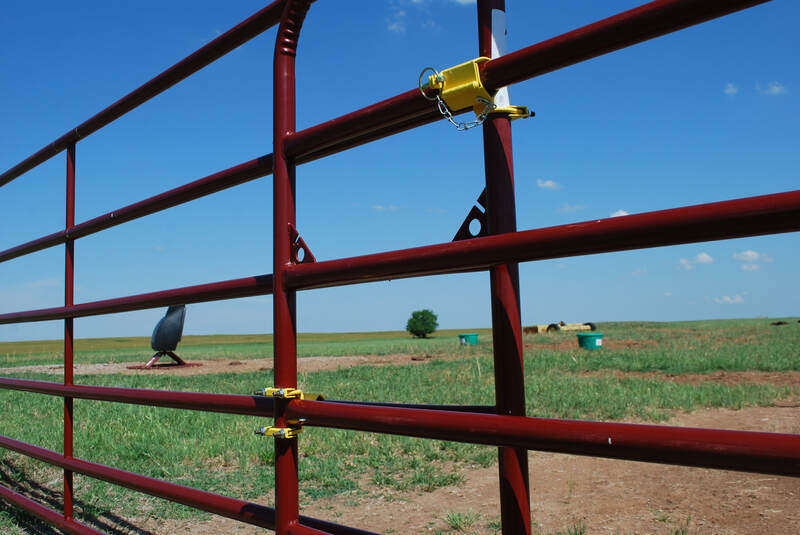 Use our gate measuring tool! Click here to download. Don't have a printer? Send us your name and address here and we'll send you one in the mail! Download a PDF of our Brochure here. If one follows the instructions, the installation is easy and quick. I didn't follow at first and could not get it to function. If all else fails, follow instructions! 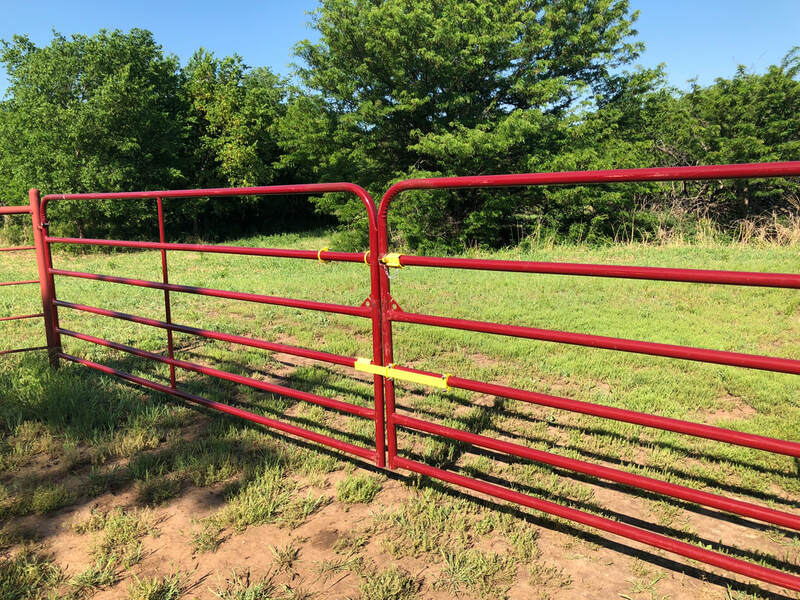 After proper installation the Gate Hands work quite well and provide a secure way to keep side by side gates latched and still provide quick and easy access. It sure beats, straps, chains, wire and other ways used in the past. Excellent gate closing latch. This the second one I have, I have used the first one on a double 12ft across my driveway. It is open and closed daily. 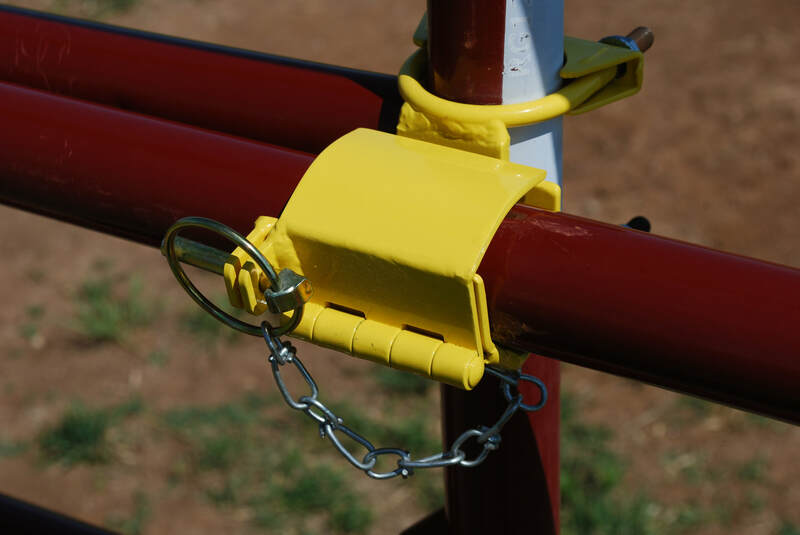 Works great, it eliminates chains and other devices to hold 2 gates closed. The only thing that needs to change, is make it so a ratcheting wrench will fit when installing it. There isn’t enough clearance, only and open end wrench will fit. All in all, this latch is great. 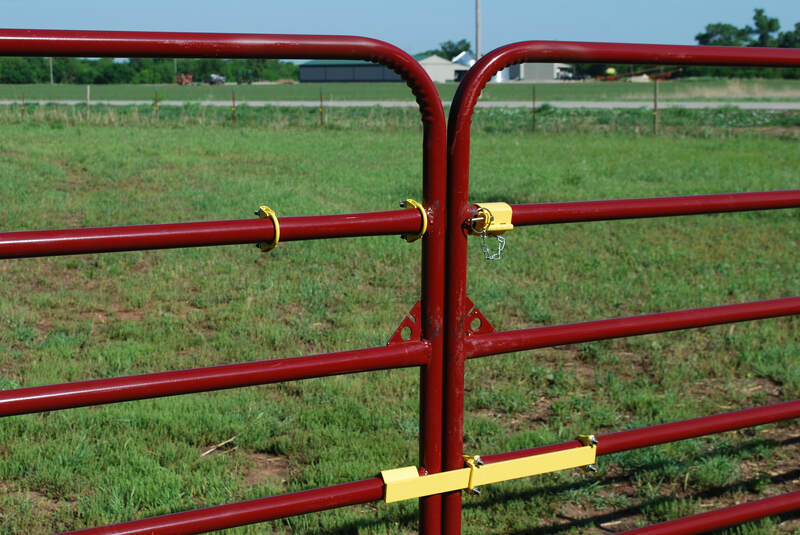 There are no other latches on the market that work on double gates. Wonderful Design. Love the way it works. Fantastic product!!! Purchased a set at the OKC Farm Show and installed the next day in under 15 minutes. 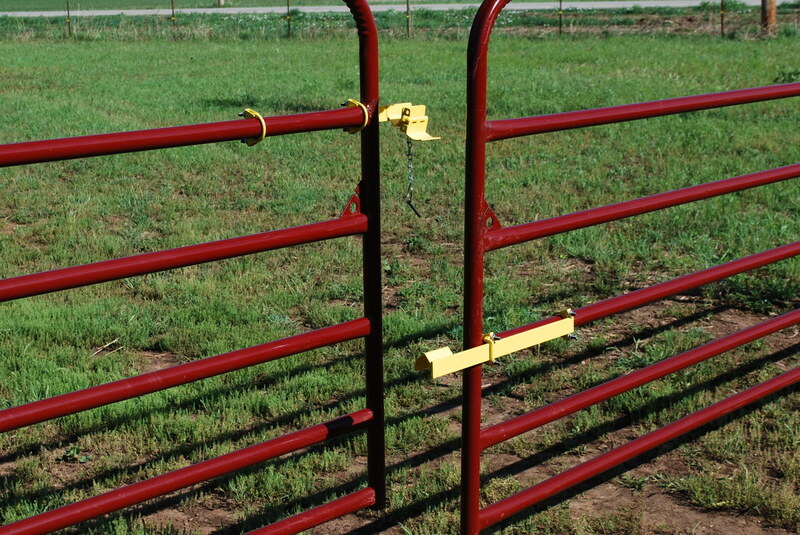 Gates are secure and perfectly parallel which adds to the looks of a finished gate set! Will definitely be purchasing additional sets! !